The EU has lost control of its foreign policy to Washington, France's National Front leader Marine Le Pen told RT, calling the bloc's diplomacy a “catastrophe” in which no independent voice of reason could be heard. 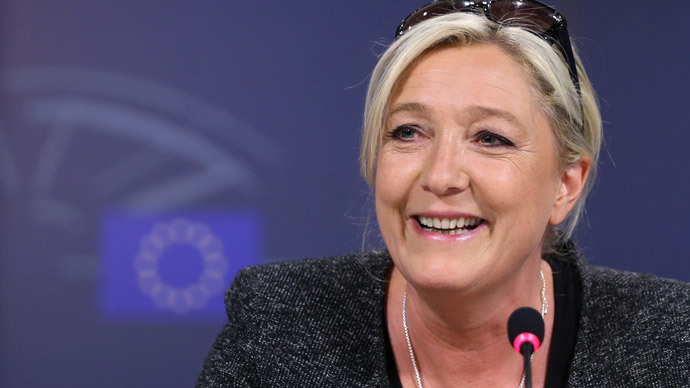 Where Ukraine is concerned, Le Pen believes that Europe had no right to blackmail the country into breaking up its historical and cultural ties to Russia. “When offering a partnership agreement to Ukraine – which would mean breaking off of its allied relations with Russia – the EU has clearly set blackmail in motion. And that can't help but fuel dissent inside the country,” Le Pen told RT, adding that “pouring oil onto the fire” could lead to an increasing risk of a civil war. As Le Pen sees it, all of this bluster over Ukraine joining the EU has been for not, as the country is far from having the economic development necessary for integration. 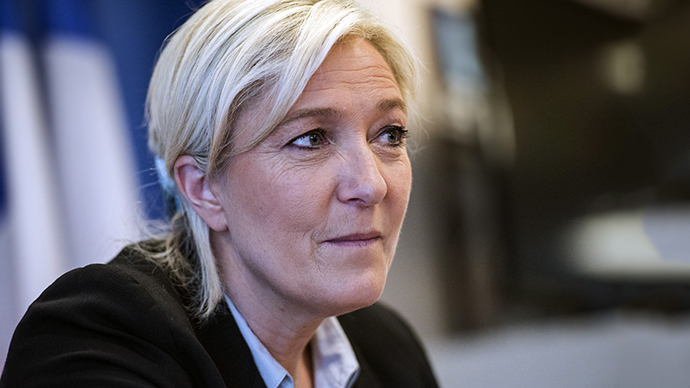 Le Pen says she is personally opposed to any expansion of the EU, and would not wish the bloc’s troubles on a country as economically deprived as Ukraine. “I am sympathetic to Ukrainians, and therefore wouldn’t wish to invite friends to this table of nightmares. I myself want to get out of the EU, so I will not say to them: ‘Come on into the EU,’” she said. 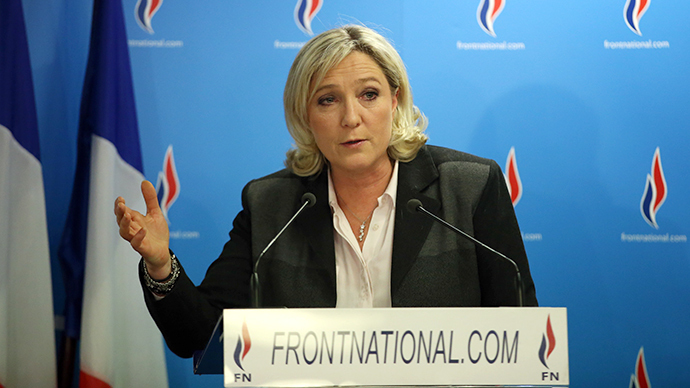 Le Penn, whose National Front party in late May secured a third of France’s seats in the European Parliamentary elections, says the EU's foreign policy has been badly misguided by the United States – Syria and Libya being just some of the most recent examples. “We've made a great deal of foreign policy mistakes under Washington's influence, but the worst of them is Syria,” Le Penn said. There are “no independent states left in Europe” that would call for peaceful solutions to conflicts, the National Front leader says. “That's the way the US acts in the international arena. But what is even more horrible, is that one can't hear the voices of European countries,” Le Pen added. Watch the full interview with Marine Le Pen on RT’s SophieCo on Monday, June 9.